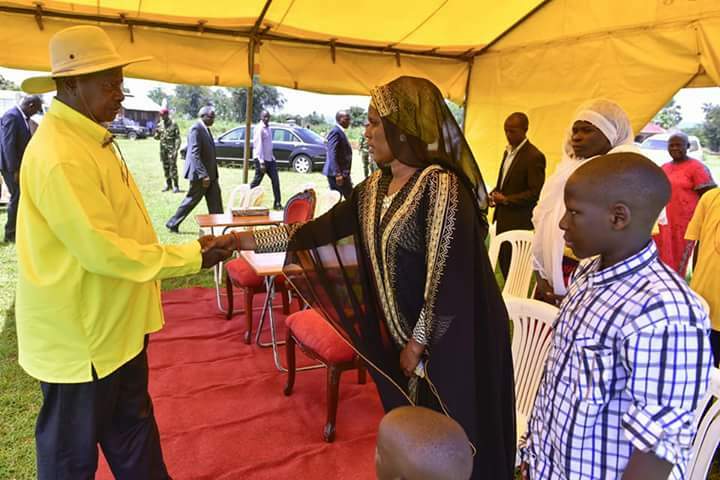 President Museveni received by the family of the slain Arua Municipality NRM legislator, Col. Ibrahim Abiriga, and his brother, Saidi Buga, at their home in Lukudu village, Rhino Camp, Arua district. ARUA – President Museveni has on Monday announced tough measures for bodaboda riders including a ban on them putting on hooded wear. 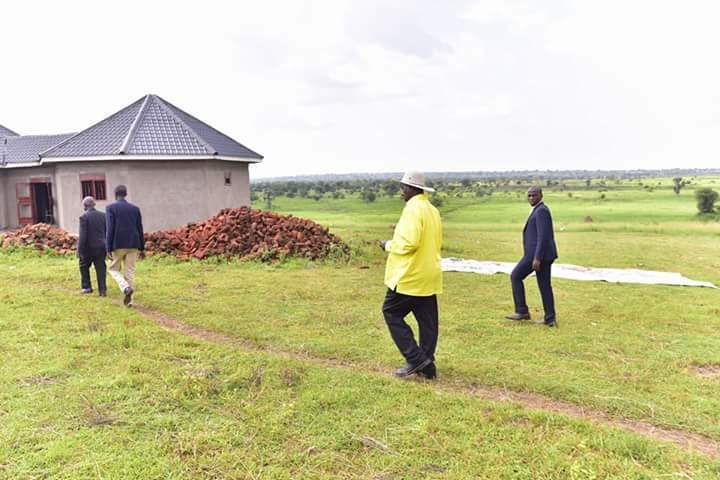 The president said this as he joined thousands of Ugandans to attend the burial of Col. Ibrahim Abiriga, the slain Arua Municipality NRM legislator, and his brother, Saidi Buga, at their home in Lukudu village, Rhino Camp, Arua district. “Going forward, we are going to implement the following measures; motorcycle riders should stop wearing hoods,” he said. “They also must get new helmets with numbers visible even at night,” Mr Museveni said. The president also warned government critics on social media saying measures would be out in place to deal with them. “Let me also put on notice those abusing social media and radios to threaten people, we shall get you. You cause anxiety by the sort of things you say, promoting hate,” he warned. Col. Abiriga and his brother who doubled as his bodyguard were shot dead in Kampala last Friday by unknown assailants. The police has since commenced investigations into the killing. At the burial, President Museveni promised that the government woykd support both Abiriga and Buga’s families. “At Rhino Camp, we shall build a school in his memory. I have been informed he was supporting his clan. They will form a SACCO and my office will offer Shs50m as start-up capital,” he said. 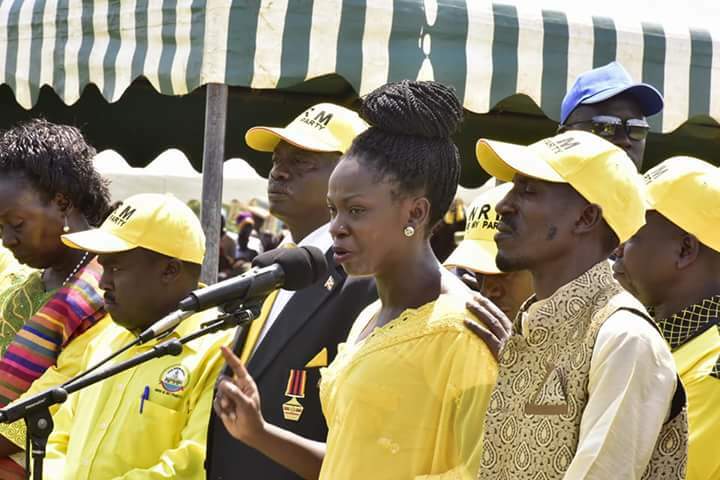 Mr Museveni narrated that Hon Abiriga, a controversial figure within the NRM cirvkes was introduced to him by Gen. Mustafa Adrisi, “and I appointed him a Resident District Commissioner”. “He was a very resourceful person, initiating and supporting Saccos as RDC, while devotedly supporting the NRM party. This devotion to the party went a notch higher when he became a Member of Parliament,” he said. The president who was in bullish mood likened Abiriga’s killers to swine. “In the Bible, in the book of Matthew 7:6, it says, “Thou shalt not put your pearls before pigs…” This means that there are evil people who cannot see good things. Like swine, they do not appreciate gold. Hon Abiriga was gold,” he said. “Whereas I am saddened, I am confident that we shall defeat these people,” he said.